Assigned the difficult task of protecting a goal 8 feet high and 24 feet wide, the goalkeeper is the final obstacle opponents must pass in order to score a goal. Top-flight netminders combine a high degree of physical and mental toughness with the ability to successfully execute specialized goalkeeping skills in pressure-packed game situations. Winning Soccer: Volume #7 illustrates the essential goalkeeping skills used when receiving low, medium and high balls, when diving to make an acrobatic save, when boxing the uncatchable high ball, and when distributing the ball accurately and effectively to teammates. A progressive series of training exercises is designed to prepare keepers to meet the competitive challenges they will face in actual game competition. 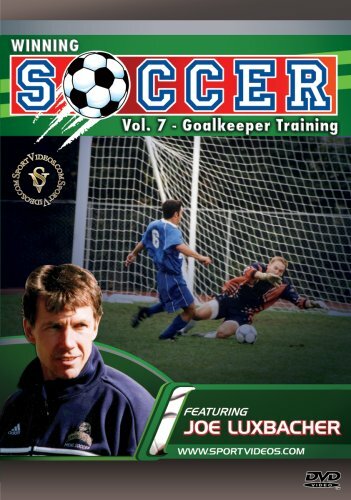 This DVD is an essential resource for every aspiring goalkeeper and coach.